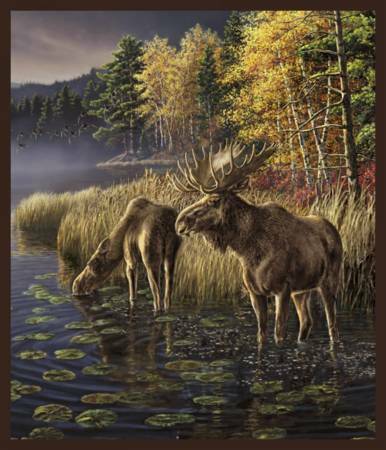 36" panel featuring two moose standing in a lake. From the One-of-A-Kind collection by Whistler Studios for Windham Fabrics. 100% cotton. 44"-45" wide. 36" panel.